Touhou Project fan game “Touhou Sky Arena” on Nintendo Switch! 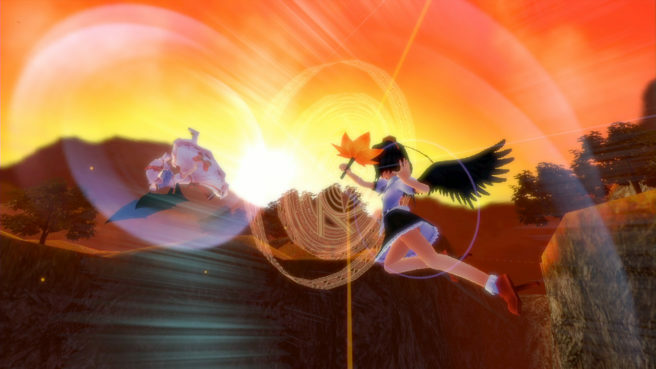 Enjoy dramatic girl battles in the sky with the “Fired-up Battle System”, which changes abilities to the playing song. Play Local or Network Battles up to 4 players. Play bombardment battles anytime, anywhere with anyone. Over 70 tracks recorded with famous Japanese doujin artists like Rokugen Alice, A-One and BUTAOTOME. 20 characters with each 2 types are available. Choose your favorite out of all 40 types! Rule the sky of Gensokyo with music and bombardments! Touhou Sky Arena: Matsuri Climax costs $29.99 on Switch. Pre-loading is available now.